It is important for an individual that undergoes treatment for any type of substance abuse -to avoid relapse. After hydrocodone addiction treatment, a plan of action needs be created to help stay focused, and learn how to deal with the stress of daily life without the use of drugs. Effective treatment should offer services that can work for the former addict to maintain long-term recovery. According to the National Institute on Drug Abuse, an individual’s treatment and services plan needs to be evaluated continually and modified as needed to ensure that it meets their needs. A patient may require various services during the course of treatment, and recovery. What Can Happen After Hydrocodone Addiction Treatment to Help a Person Prevent Relapse? 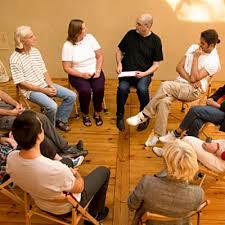 Many people join support groups after hydrocodone rehab. Outpatient services: This can offer an individual continued support to prevent relapse. From one-on-one counseling, to behavioral therapies, and group counseling programs. Some may offer nutrition and fitness classes-since many individual’s eating habit are affected while intoxicated with the drug. Workshops on addiction prevention may also be available at some centers. Sober living: For those not ready to move back into their former living arrangement for fear of relapse or other reasons, a sober living house may the best choice. Find support from others with similar issues, learn life coping skills, share responsibilities, make friends, and much more. Community based groups: Programs like narcotics anonymous, and other similar recovery groups may be available in many local areas in cities. Mental health services: For individuals that suffer from a mental illness -such as depression- services for counseling, or medication to help manage symptoms of an illness can be offered. Family based therapy: This involves family members to participate in the recovery process and help the affected individual to address problems -like communication, and family conflict. May be offered through outpatient programs, or as a separate service. Medication for addiction: Some individuals may need to take medication for an extended period of time to prevent drug use. For some, this may be necessary to do after hydrocodone addiction treatment in order to prevent use again. The help and services available for an individual after getting treatment for hydrocodone addiction may vary from one center to the next. There may be other services that are not listed here. Some programs may provide many of these resources in one place. How Long Does Aftercare Treatment Programs Last? The length of time that an individual may require aftercare treatment may vary. It can also depend on what treatment options are offered to them, or which services they need to prevent drug use. The severity of the level of addiction the person suffered with is also a factor that affects length of treatment. One of the most important part of the treatment process is prevention. By having an aftercare plan in place, it can help avoid relapse, help an individual to improve their overall health, and lifestyle. If you or a loved one are wondering what will happen after hydrocodone addiction treatment, then talking to a licensed substance abuse specialist is the best decision to make. They can discuss the options available, and provide access to programs to help stay drug-free after treatment.